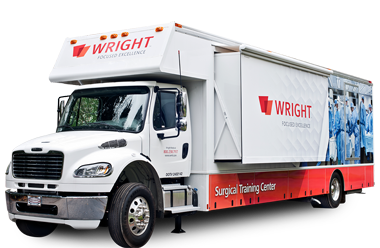 Nominating, Compliance and Governance Committee Assists the Board of Directors in overseeing the corporate governance processes at Wright Medical Group N.V.
Chief Compliance Officer Oversees the global Compliance program at Wright. Compliance Committee Cross-functional team responsible for monitoring activities across the business to ensure consistent and compliant practices. Grants Review Committee Reviews all grant requests from outside organizations against a series of guidelines as established by Wright. Royalty Review Committee Responsible for Health Care Professional Consultant royalty decisions worldwide on an ongoing basis. Arrangements Review Committee Reviews and approves all service need requests generated by the Functional Areas during the Needs Assessment Process. Reviews the qualifications of all of Wright’s existing (reviewed annually) and proposed new (reviewed weekly) Health Care Professional Consultants to determine if those qualifications meet specific Health Care Professional Consulting needs.